Bring a touch of sophistication into your living room thanks to the Beckenham Coffee Table. This sleek, practical coffee table includes ultra-thin panels and a narrow profile that give the piece a classic appearance. Also, the coffee table boasts a high-gloss lacquer finish that guarantees long-lasting quality. Pick up a superb coffee table that mixes style and function beautifully � the Beckenham Coffee Table. High-gloss lacquer finish will dazzle in a modern or traditional living room. 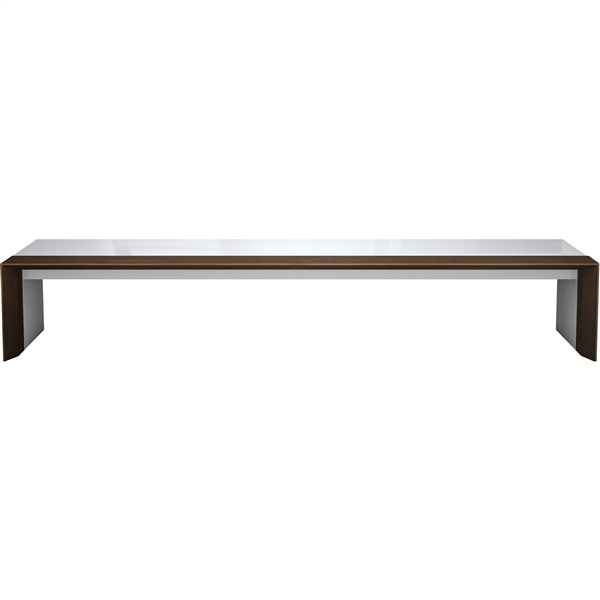 Narrow profile and ultra-thin panels ensure the coffee table adds a touch of glamour to a living room's d�cor. Wood construction guarantees supreme quality. Top is both spacious and stylish.